Who says you have to choose between form and function? With the Buckingham Howard NX-25 you don't have to. 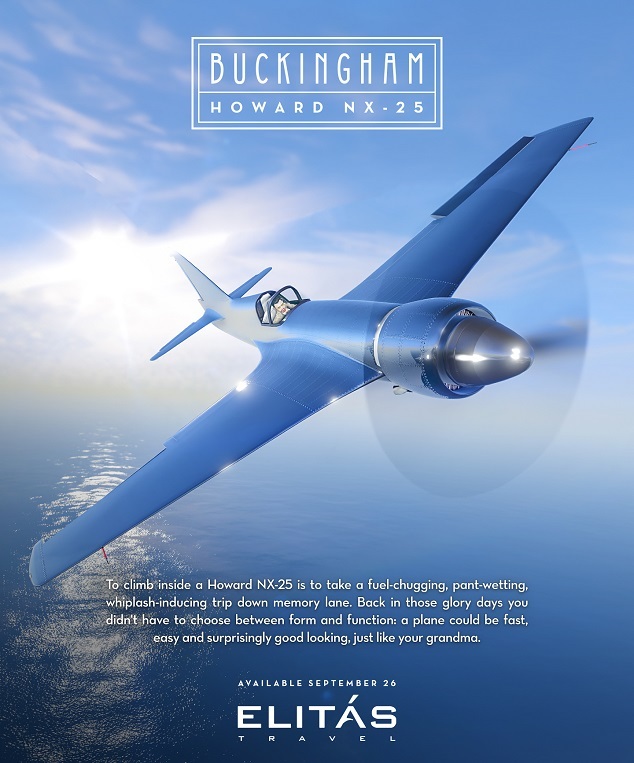 The Howard NX-25 combines all the classic beauty of the golden age of aviation with utterly blistering performance. 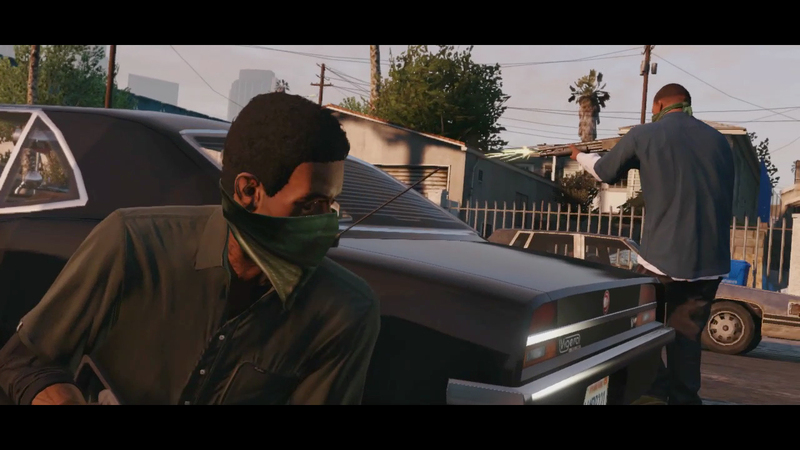 Pick up this stunner from Elitás Travel in GTA Online today — your only regret will be that someday you have to land. Now through October 2nd, there's plenty of opportunity to fatten up that in-game wallet and climb the ranks in the process. Continue to earn big with extended Double GTA$ & RP in Bombushka Run - and if you're looking for some good old fashioned subterranean combat, reap double rewards on all Bunker-based Adversary Modes. Also through October 2nd, Biker Business Production and Bunker Research & Manufacturing will be running 25% faster than usual, giving you more bang for your buck as you trade your way to the top. • Time Trial - "Vinewood Bowl"
Howard NX-25 Now Available - The Howard NX-25 stunt plane comes to new-gen GTAO plus discounts and bonuses.